In recent years, genome-wide detection of alternative splicing based on Expressed Sequence Tag (EST) sequence alignments with mRNA and genomic sequences has dramatically expanded our understanding of the role of alternative splicing in functional regulation. 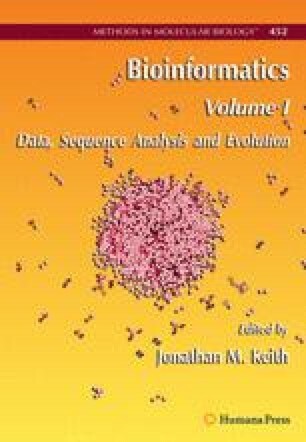 This chapter reviews the data, methodology, and technical challenges of these genome-wide analyses of alternative splicing, and briefly surveys some of the uses to which such alternative splicing databases have been put. For example, with proper alternative splicing database schema design, it is possible to query genome-wide for alternative splicing patterns that are specific to particular tissues, disease states (e.g., cancer), gender, or developmental stages. EST alignments can be used to estimate exon inclusion or exclusion level of alternatively spliced exons and evolutionary changes for various species can be inferred from exon inclusion level. Such databases can also help automate design of probes for RT-PCR and microarrays, enabling high throughput experimental measurement of alternative splicing. This work was funded by a Dreyfus Foundation Teacher-Scholar Award to C.J.L., and by the National Institutes of Health through the NIH Roadmap for Medical Research, Grant U54 RR021813 entitled Center for Computational Biology (CCB). Information on the National Centers for Biomedical Computing can be obtained from http://nihroadmap.nih.gov/bioinformatics.